If Sunday Is The New Testament Sabbath? A gift to mankind, promising blessings and liberty, and yet it is THE MOST IGNORED COMMANDMENT. 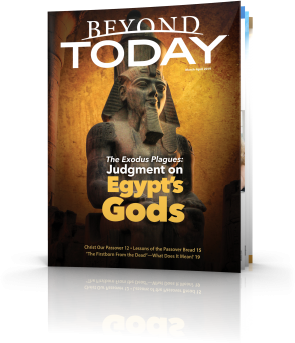 Why did God consider the Sabbath so important that He included it in the Ten Commandments? In our modern world the Sabbath command is virtually ignored and viewed by many as irrelevant. But is it? 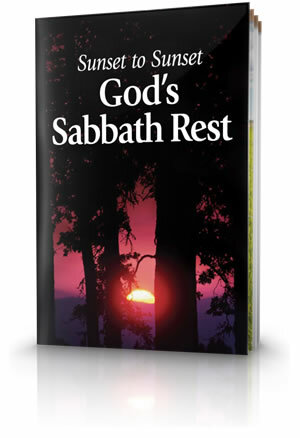 Our free booklet Sunset to Sunset, God’s Sabbath Rest will help you discover the truth about the Sabbath and also determine how this knowledge impacts your life. A clear understanding of the scriptures will open your eyes to the relevance, beauty and importance of the Sabbath day. Don't delay to learn more about this important subject. Too many of us live at a frantic pace, trying desperately to stay on top of everything we need to get done. It's no wonder we feel out of touch with our spouses, our families and even our Creator. But did you know that God offers a little-understood remedy for our hurried and harried lives? How and why did the Sabbath day originate? Who created it, and when? 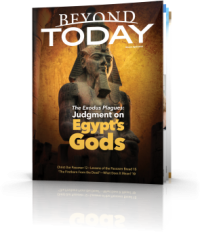 When is the Sabbath to be observed, and does it matter? Who is expected to keep it? When Is the Sabbath Day to Be Kept? The Sabbath begins Friday evening at sunset and ends Saturday evening at sunset. Which day is the Sabbath - Saturday or Sunday? Which day of the week is the biblical Sabbath? It is clear from the names for the seventh day of the week, Saturday, in many languages. How did Jesus Christ view the Sabbath day? To obey God's biblical commands in a proper attitude, such as His command to remember the Sabbath and keep it holy, is not legalism. Was the Sabbath Changed in the New Testament? The Gospels reveal that Jesus observed the Sabbath day and showed the true purpose and intent of the Sabbath commandment. Was Sunday the New Testament Day of Worship? No where in the New Testament does it show the day of rest - the Sabbath - being moved to Sunday. Was God's Law Abolished in the New Testament? The Bible clearly shows that God's law was not abolished in the New Testament. Jesus Christ and the apostles lived and taught in a Sabbath-keeping society. Leaders and authorities from many religious denominations candidly acknowledge that Saturday is the biblical Sabbath day and that there is no biblical basis for Sunday observance. 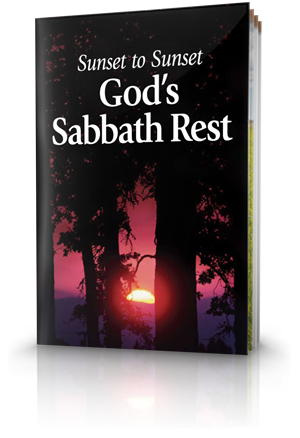 "There Remains a Sabbath-Rest for the People of God"
The book of Hebrews weaves together three themes of rest: the rest promised to Israel from enemies, the weekly Sabbath, and the spiritual rest through Christ. Those who keep holy His Sabbath day—the only day of the week God has ever set apart—proclaim, by their actions, their acceptance of Him as the supreme authority over how they should live, think and worship. Is the Sabbath relevant in our modern world? Is it really practical to try to keep the Sabbath today? If so, how should we observe it? God created the Sabbath for mankind and there will yet come a time when all mankind will keep God's Sabbath. True worship of God honours God's commands concerning the Sabbath. God says His Sabbath is a divine appointment that He commands His people to keep through their gathering before Him with other believers. Will you pass the test? Are you willing to surrender a portion of your time to build the kind of relationship God wants to enjoy with you? Please explain it all to me, or send me some literature as above to convince her, I'm not good with words. We would be glad to help. Please send your name and address to and we will send you some relevant study aids.